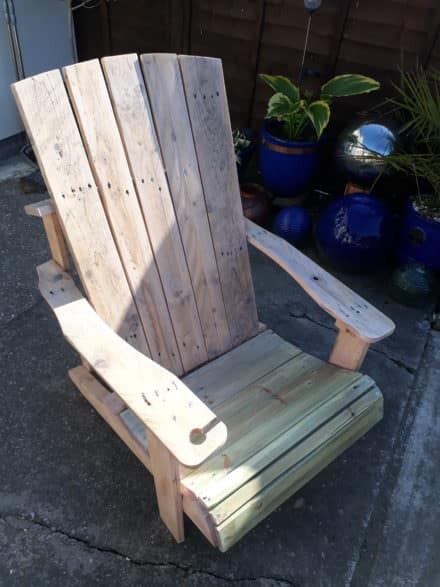 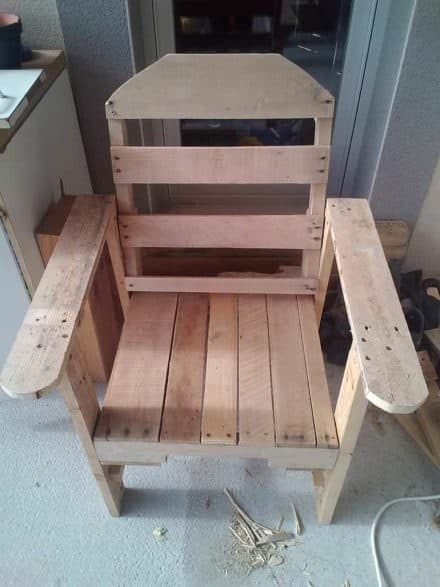 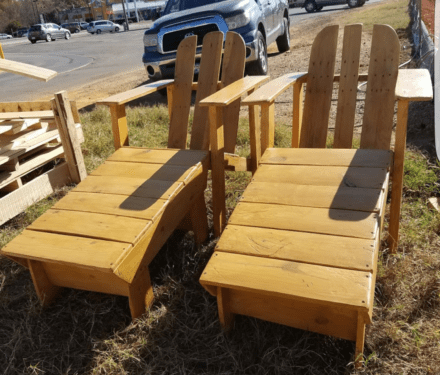 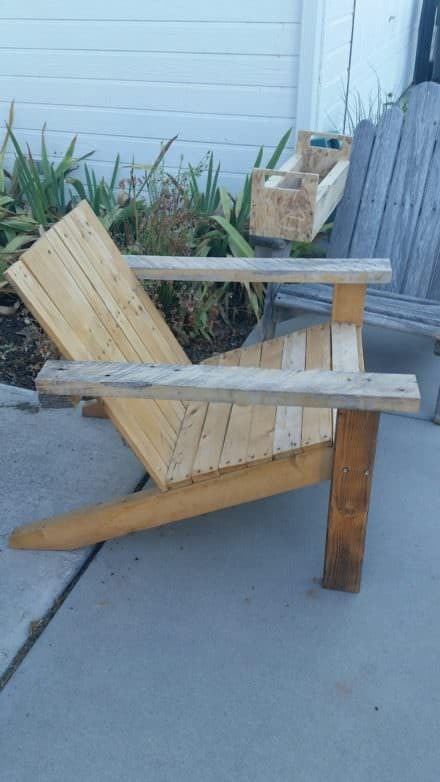 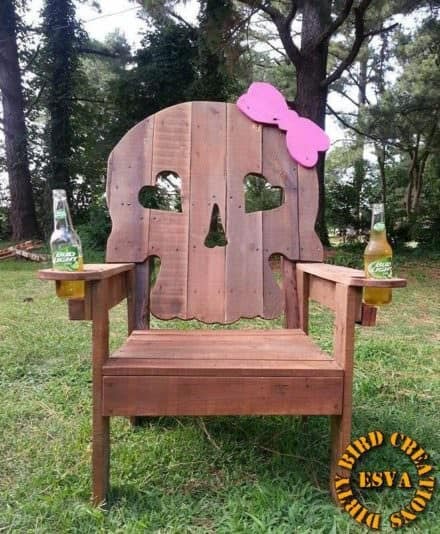 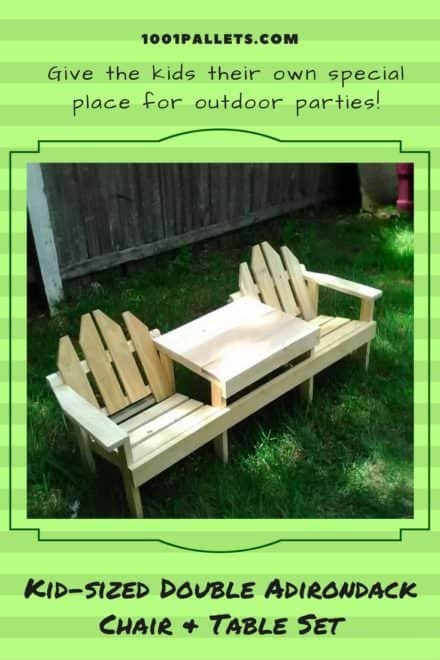 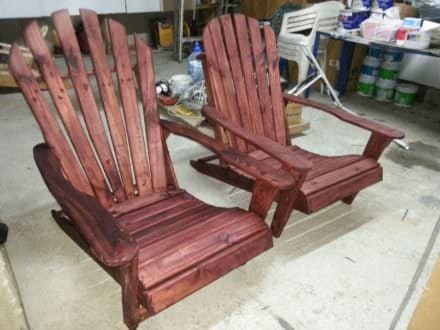 Standard Pallet Adirondack Chair Made Using Jigsaw! 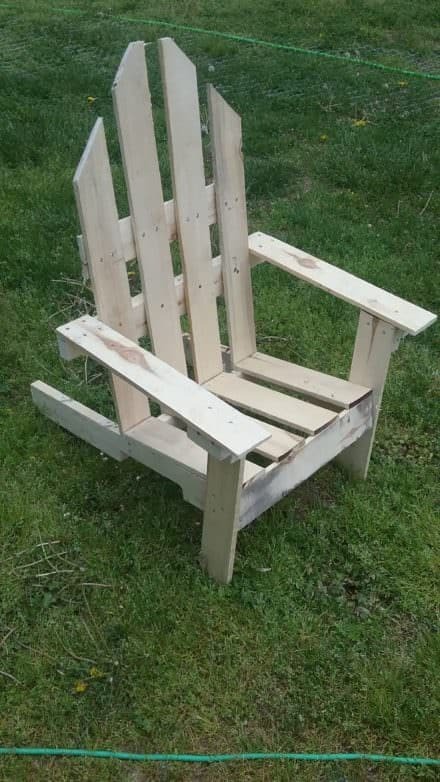 OK, chairs are ten-a-penny, but I’d like to share my method of giving pallet wood a bit of a fresh look. 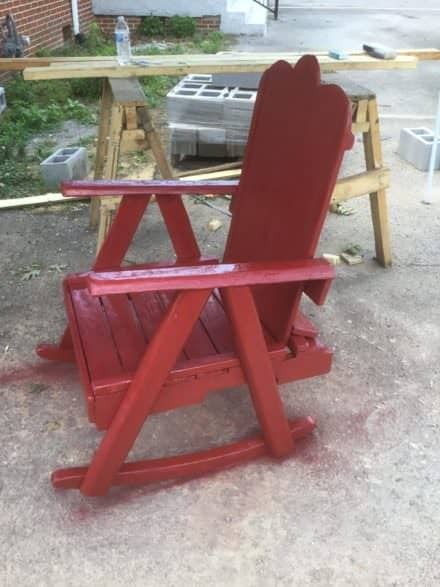 I always wanted to make a rocker but was afraid they would be too complicated, I thought about it, checked out several ideas from different pictures and info I gathered on line then decided I would try it using my pallets. 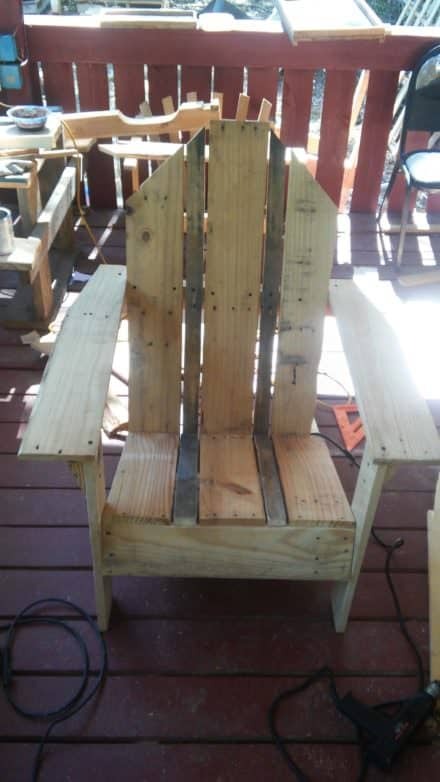 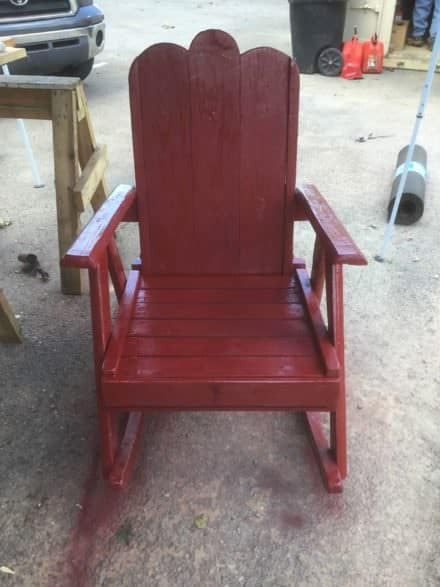 First, attempt at making an Adirondack rocker. 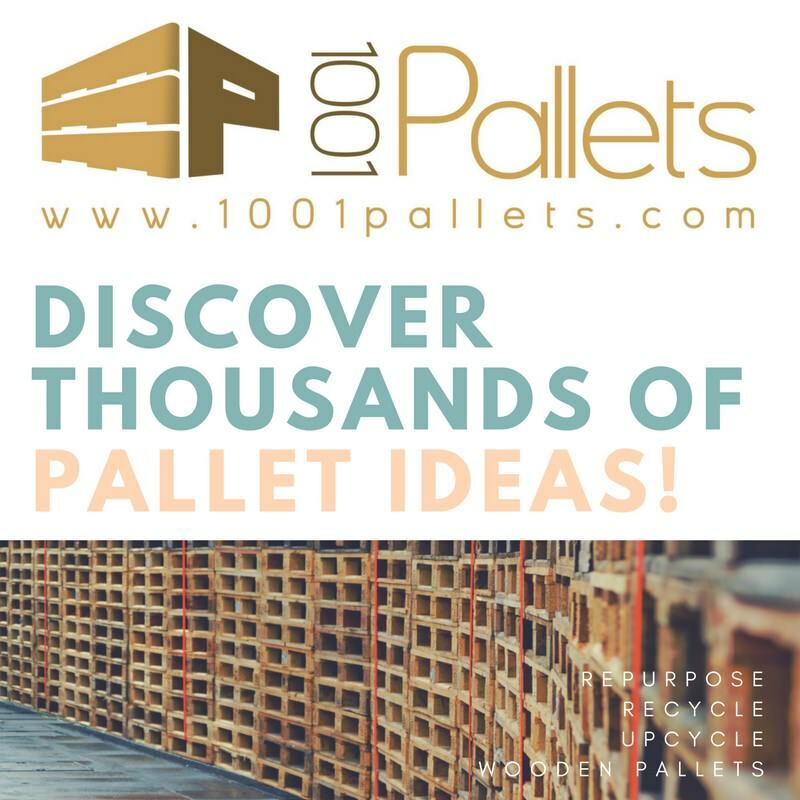 I used four pallets and what appeared to be two old landscaping rails used as dividers for shipping industrial metal gates I got from a construction site.